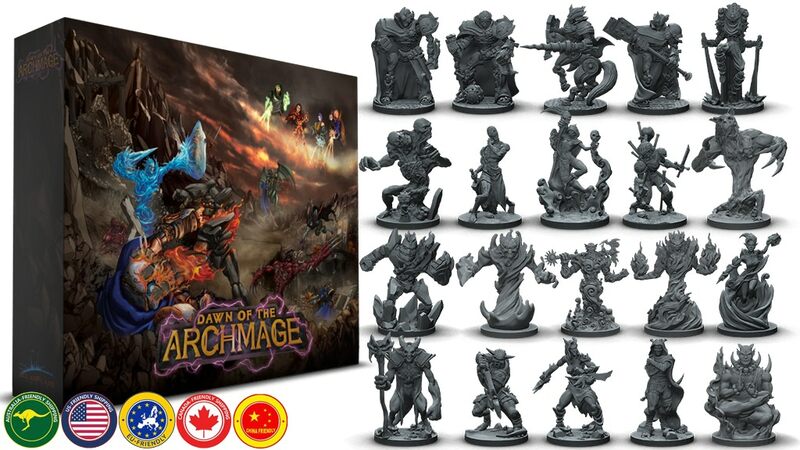 Dawn of the Archmage is a small unit (miniatures) skirmish game for 2 to 4 players. Each mage will represent a school of magic, summoning powerful monsters to the battlefield. Pitting their fearsome creatures in gladiatorial battle, one mage will reign victorious, ascending to the title of Archmage. Dawn of the Archmage continues the rich fantasy world of Archmage Origins. Once the rulers of Sorcado, mages have fallen from power. Challengers arrive from every corner of the land. Knighted Paladins, land-hungry Lords...? ?all seek to dethrone the mages. But mages don't go down easily. It's time to fight back! The campaign is back up and running now and is set to go for another 29 days.